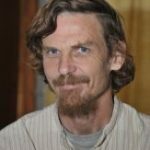 Commenting on the discussion on universal basic income in the recently released Economic Survey, Jean Drèze argues that UBI is an idea whose time will come, but that time is still quite distant as far as India is concerned. The Economic Survey 2016-17, released on 31 January, gives a much-awaited view of the government’s (or at least the Chief Economic Adviser’s) thinking on universal basic income (UBI). Contrary to some media reports, the Survey does not advocate a specific plan for UBI in India. Rather, it explains the idea, explores various options, and concludes that UBI “if not ripe for implementation is ripe for serious discussion.” But there is certainly a tone of enthusiasm in the chapter on UBI. The chapter begins with an upbeat discussion of the idea of UBI, and then gets a little entangled in the fiscal maths. In their enthusiasm for UBI, the authors make somewhat simplistic arguments for it. For instance, it is asserted that UBI benefits the poorest by minimising exclusion errors. However, universalisation is bound to come at a cost – either lower per-capita benefits, or less spending on other schemes, or higher taxes. Depending on who bears that cost, the argument may or may not be correct. Similarly, UBI is presented as a way of rectifying the current imbalance of social spending across districts: the poorest districts’ share of social spending is typically less than their share of poverty. Quite likely, however, UBI would fare worse than many existing schemes in that respect. Coming to the options, what the Survey discusses is not really UBI but what might be called quasi-universal income top-up (QUIT). Let me explain. It is an essential part of the principle of UBI that the transfers involved should cover the basic costs of subsistence – hence the term “basic income”. If UBI provides less than that, it is often called “partial basic income”. In this case, since the proposed transfers are tiny in per-capita terms (less than half of the Tendulkar poverty line), “income top-up” would be more accurate. Quasi-universal (the term is used in the Survey itself) refers to the fact that while universality may be the ideal, in practice, the transfers will be less than universal. The Survey first suggests something like 75% of the population, identified by including all those who do not meet simple exclusion criteria. Later, various ways of further reducing the costs are discussed, such as restricting the coverage – initially at least – to women, to specific groups, or to urban areas. It is not difficult to see how further restrictions might reduce QUIT to a targeted income top-up. In the quasi-universal variant with 75% coverage, UBI (read QUIT) costs as much as 4 to 5% of GDP (gross domestic product). Here the Survey hits a roadblock, and initiates a worrying shift in thinking about how UBI is to be financed. In earlier proposals, notably from Pranab Bardhan and Vijay Joshi, the main idea was to finance UBI from a reduction in (so-called) non-merit subsidies. These subsidies were estimated at 9% of GDP by the National Institute of Public Finance and Policy (NIPFP) in 2003, based on data pertaining to 1998-89. This estimate is still widely quoted today as if it continued to apply. But more recent work, also at NIPFP, produces a much lower estimate of non-merit subsidies – about 5% of GDP in 2011-12. That suggests an even lower figure today (perhaps 3.5% or so), bearing in mind that petroleum and fertiliser subsidies have sharply declined in recent years, as a percentage of GDP. Further, whatever ‘fiscal space’ can be created by trimming subsidies can surely not be monopolised by UBI. In the Economic Survey, therefore, fiscal space is sought not so much in reducing subsidies (also because “taking away subsidies to the middle class is politically difficult for any government”) as in phasing out a range of welfare schemes that are held to be ineffective. A partial list of possible target schemes is given, including items like midday meals, but the Survey fails to clarify whether they are really ineffective, if so why, whether they can be improved, and so on. Since the extent of this fiscal space is hard to assess, the authors discuss various UBI options in general terms without backing a specific proposal. It is in this argument for pruning other welfare schemes that the most simplistic argument for UBI (or rather, for cash transfers) is invoked. Other schemes are construed as “in-kind transfers”, and cash transfers are held to be superior because they give people “agency”, that is, they allow people to decide what to do with the transfers. However, there are arguments for in-kind transfers too, and further, many welfare schemes are not just transfers in kind. For instance, school meals are both excellent in-kind transfers and also a constructive activity with valuable aims such as nutrition, education, employment generation, and social equity. Similarly, the Mahatma Gandhi National Rural Employment Guarantee Act (MNREGA) is not a scheme of in-kind transfers (in fact, wages are paid in cash). Aside from income support, it serves other useful purposes such as asset creation, women’s empowerment, and environmental protection. Most of the 11 target schemes mentioned in the Survey are of that nature. There is a serious blind spot here. During the last 15 years or so, India has developed a semblance of social security framework. Aside from essential health and education services, this framework has five pillars as things stand: employment guarantee in rural areas (MNREGA); the public distribution system (PDS); child development programmes (including the Integrated Child Development Services (ICDS)); social security pensions; and maternity entitlements. Far from being wasteful, these programmes play a critical role in protecting people from deprivation, and also help to create a better society. This framework (enshrined in legal guarantees) needs to be consolidated, not demolished – for instance by universalising maternity entitlements, a legal right of all Indian women since 2003 under the National Food Security Act. This is not to deny that there are many wasteful schemes and subsidies, or to dismiss the idea of UBI. But the fiscal space available from pruning wasteful schemes and subsidies is more restricted than many advocates of UBI claim. And UBI, if and when desirable, must be planned as an extension or modification of the existing framework, not as an alternative to it. 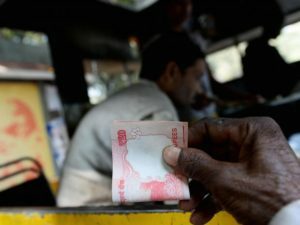 UBI is an idea whose time will come, but that time is still quite distant as far as India is concerned. This article was originally published on the IGC Ideas for India’s blog. Is India ready for a universal basic income scheme?